Brave Song has continued a winning run for trainers Peter and Paul Snowden at Caulfield. 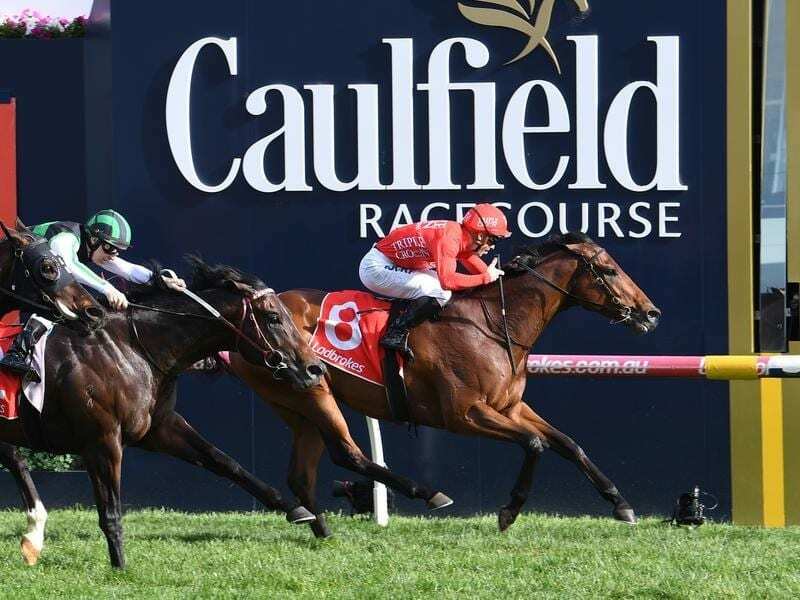 The colours carried to victory by Redzel in The Everest have been successful in a stakes race at Caulfield. Brave Song under a rails-hugging ride from James McDonald took out Wednesday’s Listed Ladbrokes Village Stakes. Like Redzel, Brave Song is prepared by Peter and Paul Snowden, but unlike his dual Everest winning stablemate has been prepared in Melbourne for his spring campaign. The Snowdens’ Melbourne foreman Andrew Angelone said the sprinter had been consistent throughout his campaign and was deserving of a change of luck. Brave Song won first-up over 1100m at Flemington in July and had raced against quality sprinters including Voodoo Lad, Osborne Bulls and Trekking in three subsequent starts. “Last start he was a bit unlucky,” Angelone said. “He got a bump at the wrong time and lost momentum but today he got the perfect ride. Angelone said as long as the four-year-old pulls up well from Wednesday’s success he’s sure the stable will press on for a race at Flemington during Melbourne Cup week. “There’s plenty of races for him over the next three or four weeks but he’s proven up the straight as well which is a big plus,” Angelone said.